Finding parking in Chicago is tricky, but if you’re on the lookout for free street parking for an upcoming trip, you’ve come to the right place. Keep reading to find insider knowledge that will help you find free parking throughout the city. 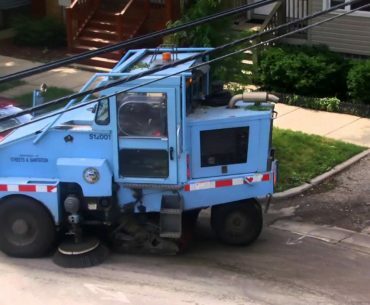 If you’re wondering about Chicago parking rules, we’ve written an extensive guide on Chicago street parking so that you can avoid pesky parking tickets and focus on what matters, the journey! 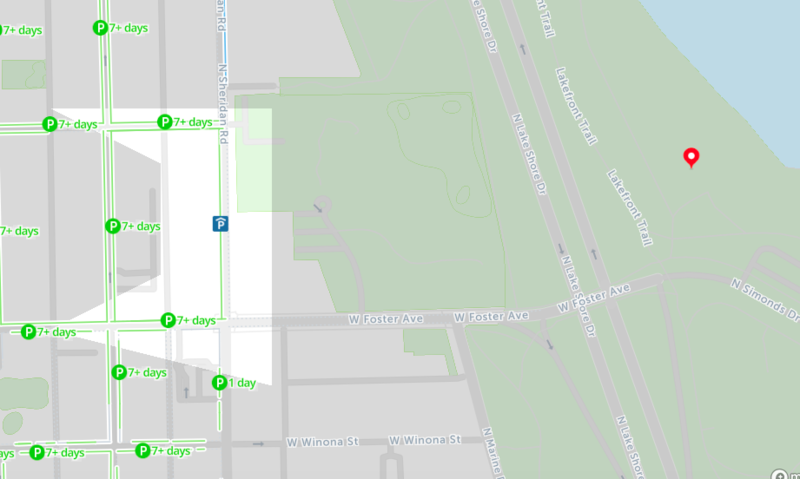 Not only will this free parking map of Chicago show you free street parking, but you’ll be able to find parking spots at nearby parking garages. Check with the business you’re heading to and find out whether they validate parking for patrons because then you’ll be able to park in that garage for free. Simply type the address you’re driving to in the search bar and adjust the time settings to reflect the times you’ll need parking. 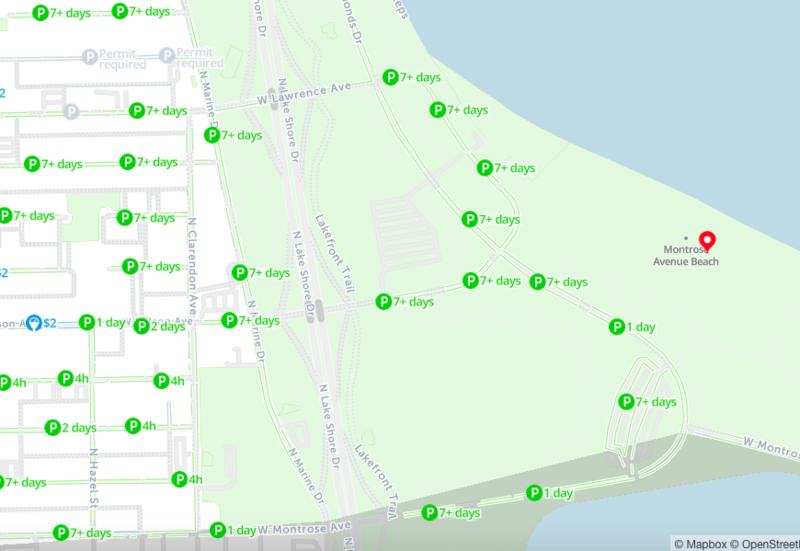 The pricing on the map updates to show free parking in real time. ✅15 Minute Standing Zones: If you only need to park for a few minutes to finish an errand or pick up a friend, look for these zones. Make sure your hazard lights are flashing to alert any parking enforcement that you know the rules. ✅Validated Parking: If you’re stopping for lunch or running to a store to go shopping, many places throughout the city will validate your parking pass and allow you to park for free in a nearby garage. Just make sure you check to make sure where you’re headed offers this service. ✅Free Parking Overnight*: Street parking is free overnight! Read the signs nearest you to find out when paid parking is in effect or type in your location on this free parking map to see which hours are free. *Keep in mind: Overnight parking in Chicago is restricted during the winter months. Find out more about those rules here. 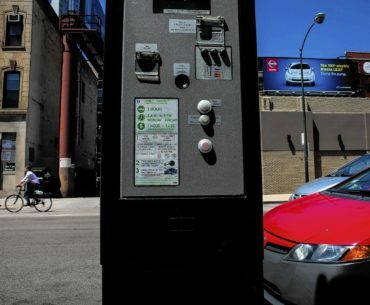 What about finding free parking in downtown Chicago? There is actually a good amount of free parking near downtown and the loop at the United Center, west of Fulton Market. If you arrive early, you’ll be able to find free street parking near the arena, but keep in mind that these spots will most likely be taken during events. If you don’t mind hopping on one of Chicago’s many buses for a quick ride downtown, you can also find free street parking near Fulton Market, which sits about a mile west of downtown Chicago and the Loop. Parking during the day is in high demand because the area is bustling with popular businesses, but if you’re heading downtown for a night out or a weekend trip, check out this area to find free parking downtown. Is there free parking in Chicago on Sundays? Yes! Street parking is free on Sundays in Chicago. Meters don’t run on Sundays, so metered parking throughout the city is free. Montrose Beach is Chicago’s largest beach. It also houses the most parking of any beach in Chicago. It also has one of only two dog beaches in the Chicago Park District, making it a popular beach for dog lovers. If you’re traveling to Montrose Beach on a weekend, make sure you arrive before 10am to find parking spots. Otherwise, you will have problems finding parking space. Foster Beach is a charming public beach on Foster Ave and Lakeshore Drive. Visitors can lounge in the beach house, rent sports equipment, and enjoy free wifi. A popular dog beach is also located at the northeast end of Foster Avenue Beach. There’s also ample free parking. 57th St Beach was designed by renowned designers Olmsted and Vaux as part of the World’s Fair. Make a date out of it and enjoy the beach before stopping in at The Promontory, a recently opened music venue. 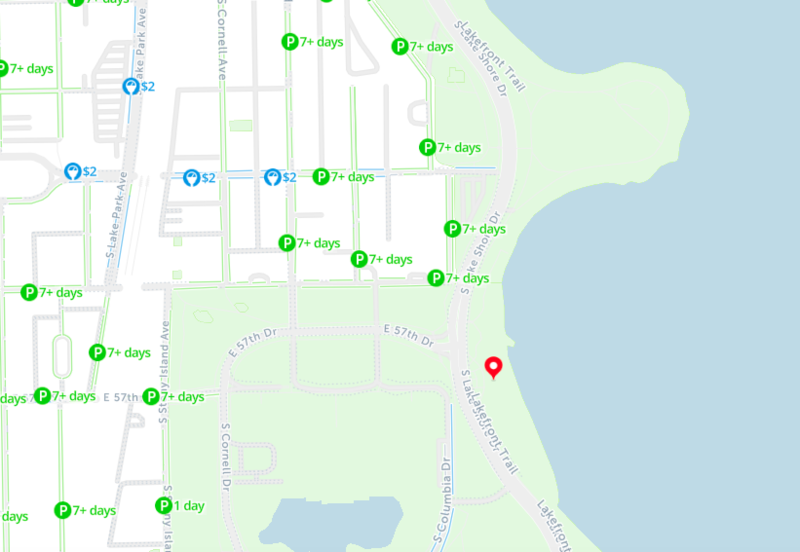 Free street parking is relatively easy to find west of Lake Shore Drive, and the beach is accessible on foot via a pedestrian underpass.